But, what does good sleep do for us? • Metabolism and Weight - Chronic sleep deprivation affects the way our body processes and stores carbs as well as changes the hormone levels that affect our appetite. 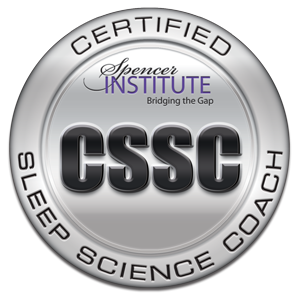 • Safety - Sleep debt contributes to a greater tendency to fall asleep during the day which can cause very serious and life-threatening accidents. • Mood - Sleep loss makes us irritable and impatient. It also can be a cause or contributor to depression and anxiety. • Cardiovascular Health - Sleep disorders are linked to hypertension, increased stress hormones, and irregular heartbeat, stroke, and more. • Disease - Sleep deprivation alters immune function, increases chronic inflammation and is linked to many diseases including diabetes and cancer. Without a doubt, getting a good night’s sleep is critical for good health, happiness and our safety! ► Healthy Eating – Of course we can discuss and dispute what constitutes healthy eating. Is it being vegan, omnivore, carnivore, vegetarian, pescatarian, etc.? I’m not here to settle those differences but I can say confidently that healthy eating is about avoiding over consumption of processed foods, fast food, sodas, lots of sugar, and harmful fats including vegetable oils. Probably the first two words are most important. "Eat food" means to eat real food -- vegetables, fruits, whole grains, and, yes, fish and meat -- and to avoid what Pollan calls "edible food-like substances." Twinkies are an example of an edible food-like substance that has nothing to do with real food and good health. Healthy eating is about nutrition, nourishment, love and enjoyment. All support optimal health. In short, exercise offers many essential benefits and without it the body’s systems quickly begin to mal-function and muscles become weak. So, which amongst these three – Good Night’s Sleep, Healthy Eating and Physical Activity is most important? And, is there anything else out there that is at least equally, if not more, important that has been left out of this health debate? May I introduce health factor #4, in my book, at least equally important as the top three above discussed health habit stars. ► Stress Release – Whatever you want to call it…Stress Reduction, Unwinding, Calming Down, Chilling Out, Relaxing, Taking it Down a Notch, etc., getting out of a tense state of being and into the relaxation mode is amazingly healthy! According to Dr. Isaac Eliaz in Why Stress Management is So Important for Your Health in Mind, Body, Green, June 8, 2011, when you become stressed, the brain undergoes both chemical and physical changes that affect its overall functioning. During periods of high stress, certain chemicals within the brain, including the neurotransmitters dopamine, epinephrine and norepinephrine begin to rise, causing larger amounts of these and other "fight-or-flight" hormones such as adrenalin to be released by the adrenal glands. The release of these chemicals contributes to certain physiological effects, including rapid heart rate, higher blood pressure, and a weakened immune system. When left unmanaged over time, chronic stress can lead to the development of other serious problems, such as stomach ulcers, stroke, asthma, and heart disease. Many health care professionals consider chronic stress a significant risk factor for illnesses such as cancer and heart attacks. One reason is that our body’s physical reactions to prolonged stress may accumulate slowly and go unnoticed in our attempts to adapt to ongoing stress. However, even if it seems we’re building a tolerance to stress, our nervous system is still dealing with an overload which can seriously affect overall health in the long run. One of the most common physical reactions to stress is the tensing of muscles, which can ultimately trigger tension headaches, migraines and other musculoskeletal conditions. Stress is also hard on your digestive system, as it affects which nutrients your intestines absorb, influences how quickly food moves through your body, and can provoke you to eat more or less than you normally do. The disruption of your body’s natural digestive processes can cause nausea, pain, vomiting, heartburn, constipation, acid reflux or diarrhea. In addition to the various physical effects of stress, it can also contribute to a number of mental and emotional disorders, including depression, anxiety, phobias, and panic attacks. This emotional stress can make it difficult to focus, make decisions, think things through or remember things. Stress may also cause irritability, making you easily frustrated and impatient with others, and can even contribute to depression, anger, feelings of insecurity, and relationship conflicts. While the many physical effects of stress can be overwhelming, it is important not to ignore these psychological effects as they also play a large part in overall health and vitality. I personally can attest to the difficulties I’ve had with stress as it pertains to my compromised immune system. Recently diagnosed with reactivated Epstein Barre Virus, I believe unequivocally that chronic stress was one of the original factors that led to my autoimmune condition. And, the autoimmune condition then unfortunately ignited the return of infectious mononucleosis. All that despite my above par eating habits, physical activity and sleeping habits. In my view, stress reduction must be treated as an equally important partner in the goal of achieving an authentic, long-lasting regimen for optimal health. While I have no dispute that good sleeping, eating and physical activity all matter tremendously in terms of achieving and maintaining optimal body and mental health, without the inclusion of stress reduction, it will be hard to next to impossible to truly thrive and live out one’s life in the most satisfying and healthy way. Let me know you thoughts and opinions on this topic? What area of health maintenance have you found to be vital? If you've enjoyed this article, please pass it on to friends and family! Thanks!